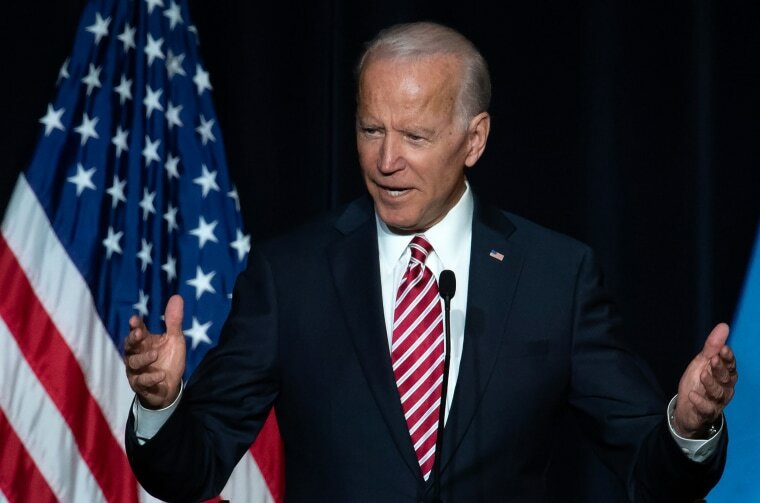 Analysis: The former VP is weighing a run for the White House and reportedly exploring some options to give his candidacy a boost. WASHINGTON — Former Vice President Joe Biden knows he has issues. He'd turn 80 halfway through his first White House term at a time Democrats are drawn to new blood, and he's a legend of the old political order even as an energized left looks to upend it. "I think that we have to be careful about doing cute things in campaigns," House Majority Whip James Clyburn, D-S.C., a vocal Biden fan, told NBC News' Mike Memoli earlier this week. "For as long as you can, you ought to travel the traditional route and hope that you can get to where you need to be. I think it would be a mistake for Joe Biden to come out — or any other candidate — and announce a running mate right out of the gate." Sen. Marco Rubio, R-Fla., spoke indirectly about how the time had come "to turn the page and elevate a new generation of leadership." But Trump said what people were talking about in the news and among voters themselves — the last Bush presidency ended with an unpopular war in Iraq and an economic collapse, the one before that included a tax hike conservatives hated, and both resulted in Democrats winning afterwards.